Synopsis: Educational institutions throughout the world must ensure the safety and security of increasingly large numbers of students, faculty, and staff. The return on investment is tangible, since both students and the general public are attracted to classes and events held in a safe and secure environment. To ensure that campuses stay secure, adminstrators, along with their safety and security department personnel must design, develop, and implement a strategic plan that details proactive ways to prevent crimes and protect assets. 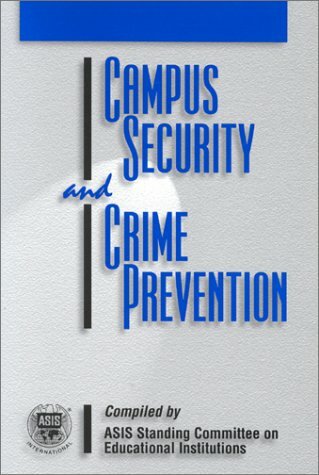 This resourceful book highlights topics on legal aspects of campus security, appropriate programs, and equipment to help meet security requirements. Personnel factors are addressed as well. College and university administrators now can stay abreast of campus crime prevention. About the Author&colon; Compiled by the members of the ASIS Standing Committee on Educational Institutions.